We made snow many adorable Winter crafts using homemade puffy paint. 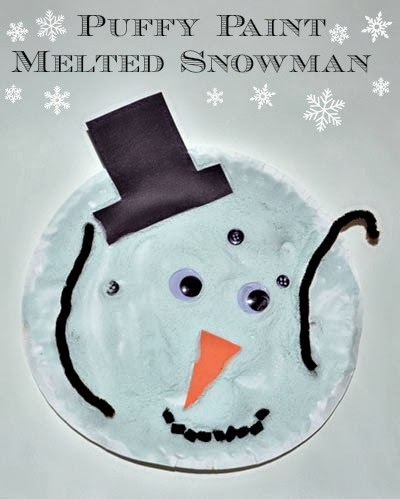 Above is the melted snowman Little Sister made. 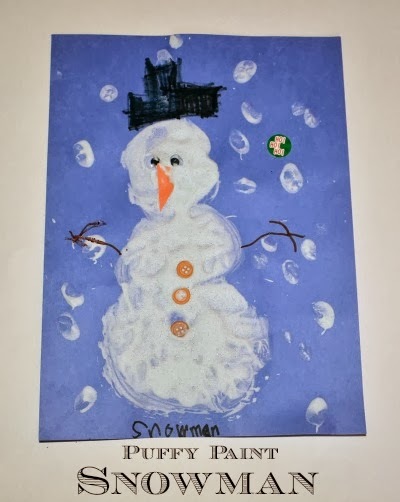 Below if the puffy snowman painting Big Brother made.